1957 : Born in Belfort (France). 1978/1981 : Student Ecole Normale Supérieure Saint-Cloud. 1980 : Agrégation de Mathématiques. Rank : 5. 1982/1984 : National service at the University of Monastir (Tunisia). 1984 : These de Troisieme cycle. Directeur : J.M. Bismut. 1984/1988 : assistant at the Université de Besançon. 1987 : Habilitation a diriger les recherches. Université de Besançon. Directeur : J.M. Bismut. 1988 : Bronze medal of C.N.R.S. 1988/1994 : Chargé de recherches C.N.R.S. Université de Strasbourg. 1989 : Rollo Davidson Prize. 1994/2004 : Directeur de recherches . C.N.R.S. Université de Nancy. 1999-2013 : Associate editor of "Infinite dimensional analysis, quantum probability and related topics". 2003 : Editor of a special issue "Probability and geometry" of the Journal "Infinite dimensional analysis, quantum probability and related topics". 2004/2011 : Directeur de recherches . Université de Dijon. 2008- : Associate editor of the journal "Advances in mathematical physics". 2008 : Editor with X. Dai, X. Ma, W. Zhang of "From probability to geometry : a collection of papers dedicated to Jean-Michel Bismut for his sixtieth birthday". "Asterisque 327/328"(2009). 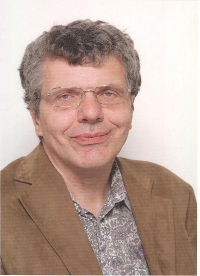 2008- : Associate editor of the journal "The open statistics and probability journal". 2009- : Associate editor of the journal "Symmetry". 2009-2013 : Associate editor of the journal "International journal of computers". 2011-:Editor with M. Demiralp, M. Tuba, L. Vladareanu, O. Martin, N. Mastorakis and G-R. Gillich of "European computing conference" (W.S.E.A.S. Press). 2011-:Associate editor of the journal "Axioms : Mathematical Logic and Mathematical Physics". 2012-:Associate editor of the journal "International journal of physics and mathematical sciences". 2012-2015:Associate editor of the journal "Conference papers in mathematics". 2012-2017 : Associate editor of the journal "International Journal of analysis". 2013-:Associate editor of the journal "Chinese journal of mathematics". 2013- : Associate editor of the journal "Balkan Society of Geometers Proceedings". "Loops spaces" (Strasbourg 1994)with S. Paycha and T. Wuerzbacher. "Probability and geometry" (Nancy 1999). "Infinite dimensional analysis" (C.I.R.M. 2001). I have organized a session "Analysis on path spaces" at the Satellite Conference of Stochastic Analysis of I.C.M. at Beijing (2002). "Infinite dimensional analysis and path integrals" (C.I.R.M 2004) with C. De Witt-Morette. "Stochastic analysis and mathematical physics" (Dijon. 2006). M. Métivier. S. Watanabe edit. 109-133. Lecture Notes 1322. 1988.
edit. 173-197. Contemporary Mathematics 73. 1988. Strange behaviour of the heat kernel on the diagonal. In "Stochastic processes, physics and geometry" (Ascona). A. Albeverio and al eds., 516—528. World Scientific, 1991. With F.Russo : Density estimates for stochastic partial differential equations. In " Stochastic analysis". (Ascona) E. Bolthausen M. Dozzi F. Russo edit. Progress in Probability 36. (1995) 169-186.
symplectic action. Reviews of Maths. Physics. 12. (2000), 91-137. Malliavin Calculus for a general manifold. In "Séminaire X-EDP"Exposé XXIV. J.M. Bony, J.Y. Chemin, J. Sjoestrand eds, 2003, (Electronic). The geometry of Brownian surfaces. Probability Surveys 3 (2006), 37-88. Applications of the Malliavin Calculus of Bismut type without probability. in "Simulation, modelling and optimization" (Lisboa) A.M. Madureira edit. CD 2006. Copy in WSEAS Transactions of Mathematics. 6. (2007), 1205-1211. Malliavin Calculus of Bismut type in semi-group theory. Far East Journal of Mathematical Sciences. 30 (2008), 1-26. Deformation quantization in infinite dimensional analysis. "Festchrift in honour of H.v. Weizsaecker" (Kaiserslautern). M. Scheutzow and edit. Cambridge University Press (2009), 283-303. Stochastic analysis without probability : study of some basic tools. Journal of Pseudo-differential operators and applications. 1 (2010), 389-400. Stochastic analysis for a Non-Markovian Generator : an Introduction. Russian Journal of Mathematical Physics, Vol 21, No. 4, (2015), 39-52.